L.C. 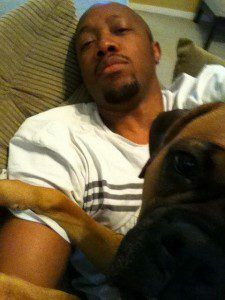 Walters is a husband, a father, and a dog lover who finds meaning and purpose in every day life occurrences. The story of “The Underdog with the Underbite”, is a story which virtually wrote itself once a little Boxer puppy named Spud came into his family’s life. There are life lessons for people of all ages which can be gathered from the story of The Underdog. Seek meaning and purpose in what may seem to be the most trivial things as we travel the paths in this thing called life. Be blessed.